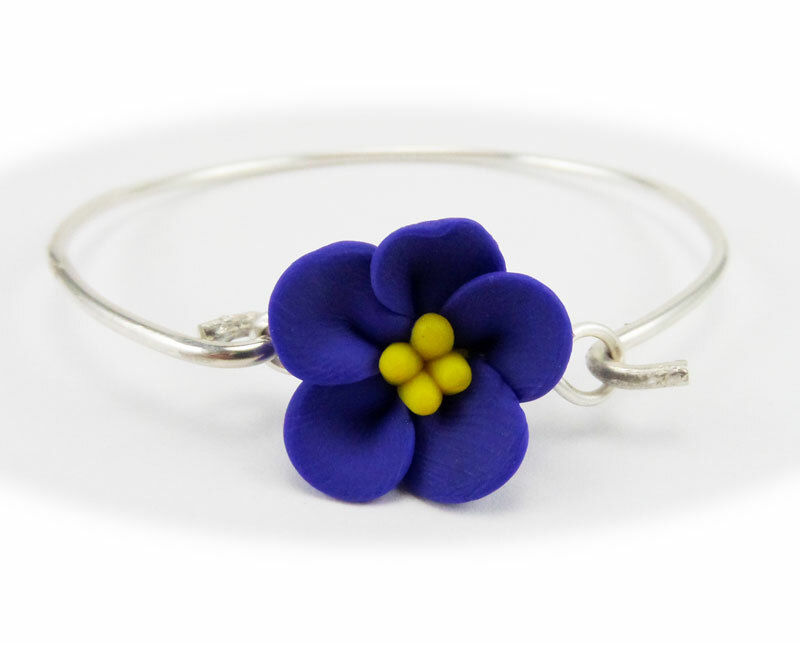 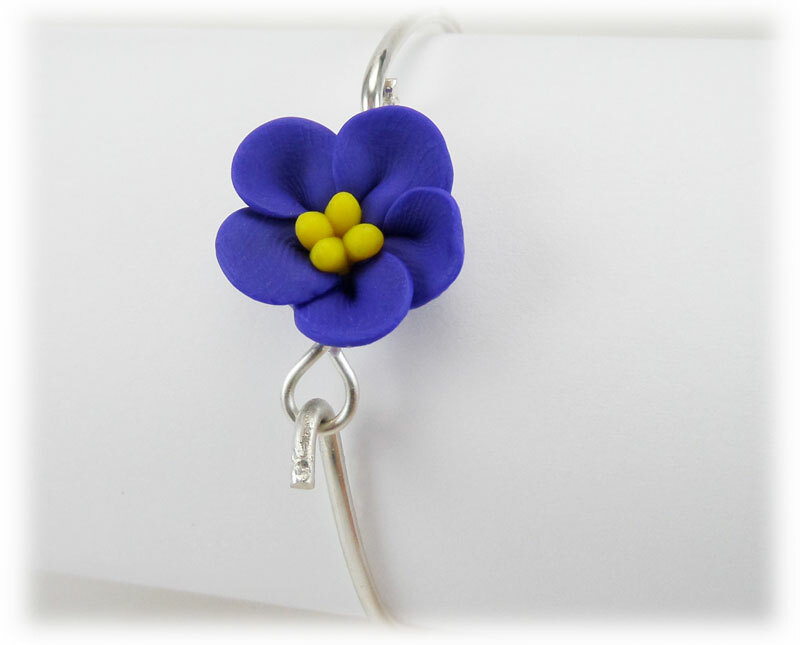 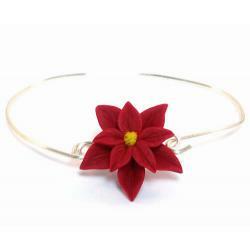 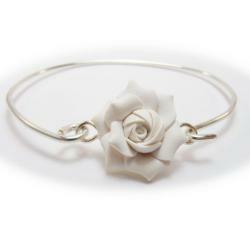 African Violet flower bracelet featured on a 925 sterling silver thick band. 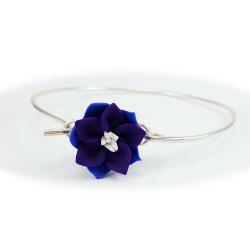 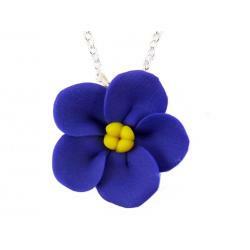 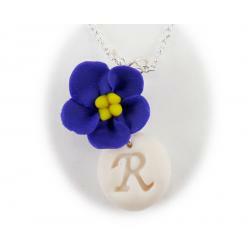 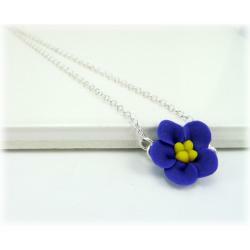 This African Violet is great for bridesmaid or Bridal Party jewelry or casual everyday wear. 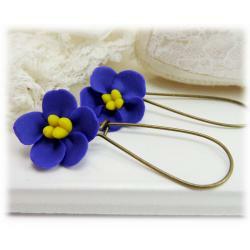 Beautiful purple with yellow contrast.